You enable real research projects. Once you fund a project, you'll get access to progress, data, and results straight from the team. Each project is reviewed by our team to make sure that it meets our project criteria. Anyone can start experimenting. Join an online community of 32,000 explorers of science. Read about our mission. Roots are an important, yet understudied, part of tropical forests. We need to better understand how roots vary with environment. We have measured fine root functional traits for 400 individuals of 50 tree species in Jianfengling, Hainan, China, to look at the root trait variability across a soil and forest age gradient. However, we do not fully know the range of soil environmental conditions across which we have sampled, so we are raising funds for laboratory soil analyses. What is the context of this research? A recent interest by tropical forest ecologists to better understand belowground processes and their role in carbon cycling of tropical forests is developing. Norby & Iversen (2017) summarize what we know about roots, their biological functioning, and how that scales up to ecosystem-level processes. The favored approach in plant ecology, especially in diverse forests, is to use "functional traits" to help understand general trade-offs in plant strategies among the great numbers of plant species. We used a functional trait approach and sampled fine root traits for >400 individuals of >50 taxa in two forest areas (a 60-year old secondary and a primary) of a tropical island forest in China to see how variable root traits are. What is the significance of this project? We are at a crossroads in human history. Never before has human well being and the existence of mankind been so directly at odd with economics, resource-use and consumption. Despite the seeming doomsday scenario, there is hope. That hope lies in better understanding the effect and magnitude of rising carbon dioxide levels on the Earth's ecosystems. Scientific modelers, whose job it is to do just that, have identified a need for more data on belowground carbon pools (i.e. 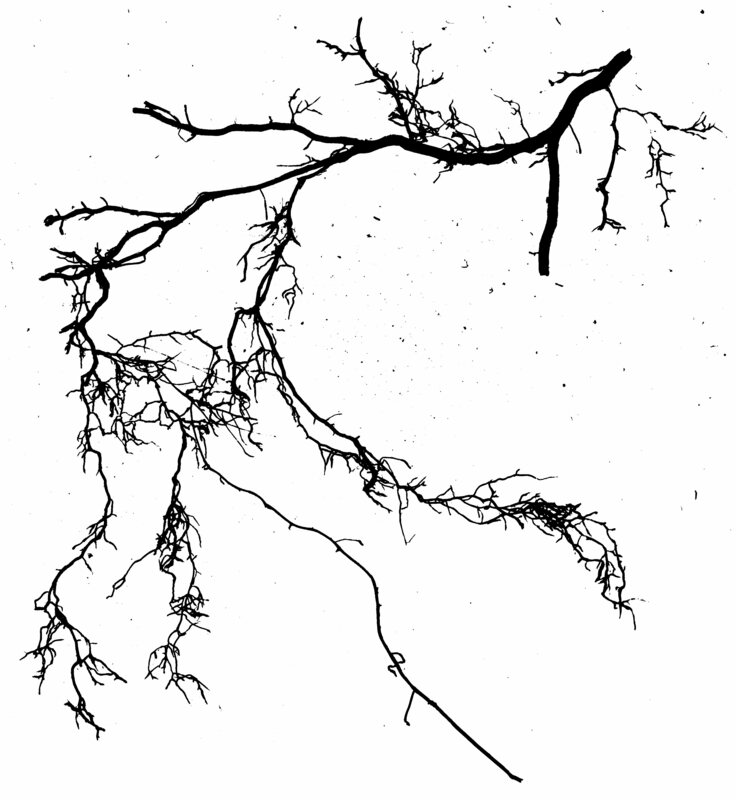 roots) (Kueppers et al. 2016). Modelers can use our trait based measurements, and a better understanding of how they vary with soil conditions and forest age to inform models that predict belowground carbon storage over time and across large areas of tropical forests. What are the goals of the project? This project has two goals. The first is examine how plastic root functional traits are within a species (i.e. among individuals). That is why we need to study several individuals of each species in each of the forest types. The recent trend in plant functional ecology has been along these lines, quantifying intraspecific variability rather than treating traits as point estimates. The second goal is to look at how root functional traits vary with forest age and across a soil gradient, which are related in Jianfengling. The primary forest area has nutrient-poor clay soils, whereas the secondary forest has sandier, more nutrient-poor soils. However, quantifying the soil nutrient concentrations in these areas depends on further laboratory analysis of the soils. We are in need of laboratory analysis of soil sample collected from around the roots of each tree that we sampled. We plan to analyze 300 soil samples. 6 individuals of each species. Each soil sample costs around $35 to analyse. We are looking for half of the funding via experiment.com. The other half will be matched by institution if we are successful in meeting our goal of raising $5,000. Experiment.com charges around 5% as a fee for hosting our fundraising campaign. The payment processor also charges a similar fee. Therefore, we have added a $500 buffer to cover these fees. With your help we will be sending out soil sample to the lab for analysis! Thank you for your support! Roots are a new frontier that we must explore to understand the diversity and function of tropical forests. Aaron Hogan has designed and executed a good study of tropical forest roots, which he is asking us to help complete. 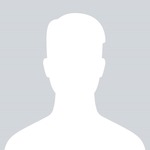 I have worked with Aaron, and I know he will do an excellent job and provide new, valuable information. I fully support this project. Variation in root structure and function is difficult to quantify, yet critical for understanding plant-soil processes. This research team is tackling this important knowledge gap using root-based plant traits in tropical forests. This team is well suited to test this critical information that will advance general ecological understanding. I endorse the researchers in their endeavor. I can attest to Aaron's intellectual capacity and dedication, and capacity to conduct high quality research in arduous field settings. This project will advance the science of nutrient cycling in tropical forests, and help illuminate the effects of global environmental change on forest ecosystems. The analysis of soil samples is a key component of this project, the results of which are well worth the financial support being solicited. I am very excited about this project which will answer some very interesting and important ecological questions in tropical mountains. Aaron is the best person the lead this project. Please give your support! Much of the fieldwork for this study has already been completed. Some continued collection of roots will be ongoing, but sporadic for the next month, while I remain in Jianfengling. We restrict the timeline of events as they pertain to the soil samples, their analysis, the return of those data, the incorporation of the soils data into the project and the eventual publication of the results. We have a great team collaborating on this project. 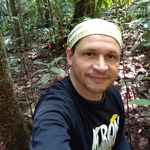 My doctoral research adviser, Dr. Christopher Baraloto, is a tropical forest ecologist who has worked throughout the Amazon. Dr. Oscar Valverde-Barrantes is our root expert, and is responsible for sparking my interests in belowground functional traits. Dr. Ding Qiong at Hainan University has worked with roots in Jianfengling, and Dr. Xu Han is PI of the Jianfengling 60-Ha forest plot, the largest of its kind in China. I am a young, but experienced tropical forest ecologist. I am currently working on a PhD in Biology at Florida International University in Miami, FL. I have worked extensively in Puerto Rico, and now in China. I am broadly interested in tropical forests, their diversity, and their responses to global climate change. Your support is greatly appreciated! Thank you! I am a root ecologist with experience working in both temperate and tropical forests. I obtained my PhD from Kent State University in northeastern Ohio, where I looked at root biomass and functional trait dynamics in a temperate forest. 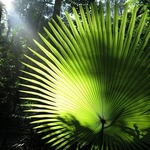 I am now affiliated with Dr. Baraloto and the International Center for Tropical Botany (ITCB) at FIU. 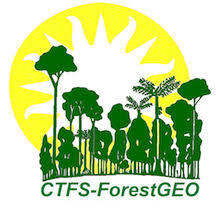 I am also an excited collaborator of the Amazon Free-Air Carbon Dioxide Enrichment (FACE) project, where I am looking at belowground processes of tropical forests under climate change conditions. Please support our project and help us unravel more great discoveries in the mysterious world of roots. I am the lead PI of the 60-Ha Jianfengling Forest Dyamics Plot in the mountains of Hainan island. We have over 500,000 stems > 1cm dbh tagged, identified, measured and mappped. 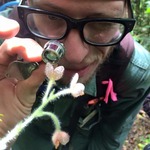 I am botanist by training, with years of experience in tropical forest ecology. Currently, I'm working on doing some transplant experiments with tropical tree seedlings and lianas. I am an assistant professor of Hainan University. I’m working on root-associated fungal community assembly in tropical forest of Hainan Island, China. The world of below ground is really amazing. We assure you that 100% of your donation will go directly to the unravel of below ground world in tropical forest. Tree species in the Lauraceae family are common in Jianfengling. We sampled roots from >100 individuals of 23 species in this family. 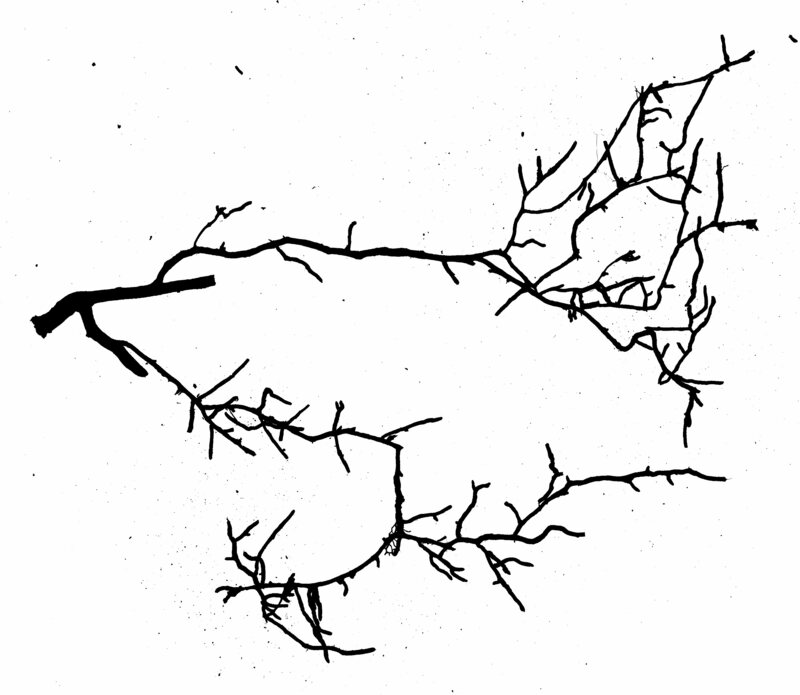 Roots are traced from an identified individual, sampled via light excavation, washed, imaged and weighed. Images are then analyzed using computer software to quantify root functional trait values. Tree species in the Fagaceae (oak) family dominate the forsest in Jianfengling. A characteristic of some tropical forests. We sampled roots from >80 individuals of 17 species in this family. When compared to the Lauraceae root, you can notice the morphological differences with the oaks having many more fine root tips and a more branched root anatomy. Oaks are also know to be ectomycorrhizal-associated.